Paper tickets can be ordered and paid for through the University’s online store and then collected from the University offices, Wellington Square, Oxford, OX1 2JD or from Atlas Centre, Fermi Avenue, Harwell Campus, OX11 0QS. Paper tickets can also be purchased over the counter by card only at University Club, Mansfield Rd, Oxford, OX1 3SZ. 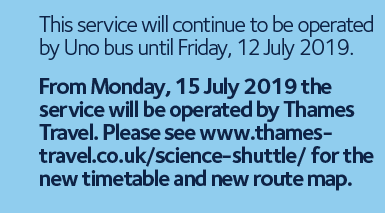 Commuter cards valid for 13 weeks can be purchased through the University’s online store and then collected from the University offices, Wellington Square, Oxford, OX1 2JD or from Atlas Centre, Fermi Avenue, Harwell Campus, OX11 0QS. Oxford staff who want to use the science shuttle to commute can buy a commuter card and pay for it by monthly deduction from salary. This card can be ordered online and then collected from the University offices, Wellington Square, Oxford, OX1 2JD.